General Election 2017: Would you support a burka ban? 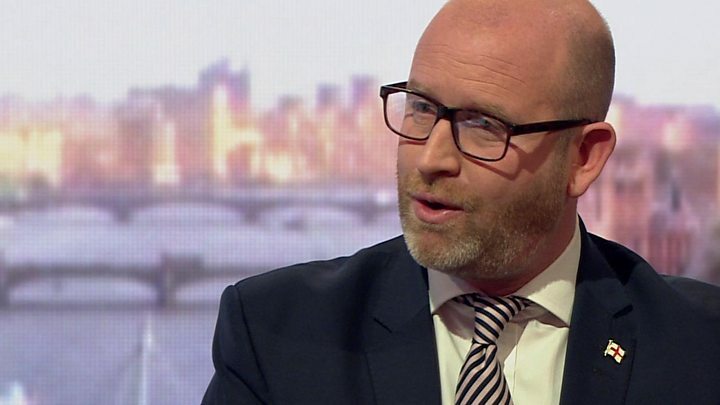 UKIP's manifesto will include proposals to ban full veils, the party's leader Paul Nuttall has told the BBC. The announcement has sparked strong reaction on both sides of the debate. Nazif, 37, is Muslim. Originally from Afghanistan, he has lived in the UK since 2002. While his relatives do not regularly wear either the burka or the niqab, he is not in favour of an outright ban. "If it came about voluntarily I would welcome it," he said. "I'm not in favour of the burka. "But if women want to wear it or they don't, it should be up to the women themselves." Mr Nuttall has cited security concerns as one of the motivations behind the proposed ban. But for Nazif and his family, back in Afghanistan it was the burka which offered security on otherwise dangerous journeys across the country. Travelling to Pakistan, he says they were forced to go through checkpoints controlled by non-government forces. "Having your face revealed was a sign that you are part of the government," he said. "My sisters wore the veil in order not to arouse suspicion." When they were safe, they would remove the veil again. "If they want to ban the veil it must not be banned under the pretext of security," he said. "Paul Nuttall sees it as an election chip but he doesn't know the full reason. "In my own family's experience it was a way of getting from point A to point B. "I am 100% behind a move towards phasing out the veil. But encourage those who wear it to feel safe." Writing on Twitter, social media user Rachel Robbins was equally sceptical of the security pretext for UKIP's proposed ban. But others disagree. Brian, from Lichfield, reflected the mood of much of the correspondence the BBC received. "It's a security issue," he wrote. "You can't go into a bank or building society wearing a crash helmet or other 'western' headgear that covers the face. "The same should apply to the burka and the veil." Mr Nuttall also highlighted concerns about integration as a key reason for proposing the ban. "I don't believe you can integrate fully and enjoy the fruits of British society if you can't see people's faces," he said on the BBC's Andrew Marr programme. Jennifer, who works in Bradford, agreed that full-face veils could be a barrier to integration. "I've worked in Bradford for a long time," she said. "I'm increasingly seeing more women with their faces covered. "I see the increase in women wearing it as evidence of the polarisation of these communities and the isolation of these women from mainstream society. "It seems like a deliberate barrier to separate them." Marwa, from London, disagrees. Two years ago she decided to start wearing a hijab - a headscarf worn by many Muslim women. The hijab would not be included in the proposed ban. "A lot of my family don't wear the hijab," she said, "but it was my individual choice. "I liked the way I felt when I wore it. "I'm not sure that banning religious expressions and beliefs will help Muslims feel like they're part of Britain. "It's this kind of barely tolerant attitude that makes Muslims feel further excluded and alienated. "It seems to me that Mr Nuttall believes that in order to allow women to be free and to be 'integrated' they must first be told how to dress. "The hypocrisy of his argument is baffling. What is it that he really wants?" Others have also questioned the motivation behind Mr Nuttall's announcement. Writing on Twitter, Brendan Cox, the activist and husband of murdered MP Jo Cox, suggested the move had more to do with UKIP's poll numbers. Some European countries, including France, already enforce a public ban on full-face veils, while in December 2016 German Chancellor Angela Merkel said that wearing full-faced veils should be prohibited in Germany "wherever it is legally possible".